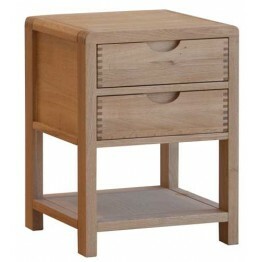 The Ercol Bosco Bedroom collection contains all the pieces needed to furnish your bedroom. 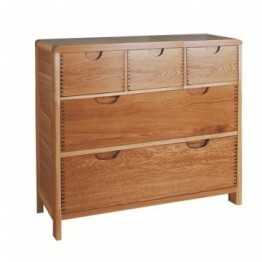 There is a wide selection of chests of drawers in both wide and narrow sizes, as well as bedside chests with useful storage sections. As well as these this collection of oak Bosco Bedroom Furniture has a three door wardrobe and a two door wardrobe which both feature drawers in the lower areas. Then of course there are the beds, these are made in a 4'6 Double size or a 5' King size and are of course in the same Oak finish as the rest of the collection. 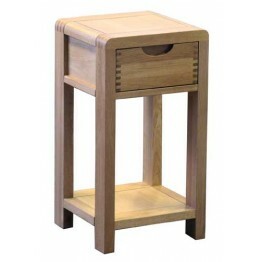 These two beds also feature sprung beech slatted bases to give an improved level of comfort. 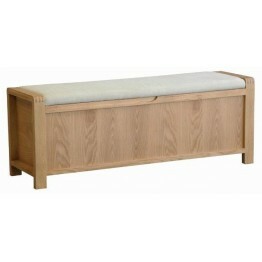 There is even now a new upholstered top ottoman or storage bench in this ercol range for extra storage space and to give a seating area in the bedroom. The whole of the Bosco Bedroom collection is made out of Solid Oak supplemented with Oak Veneers and is finished in the Clear Matt Oak Colour. 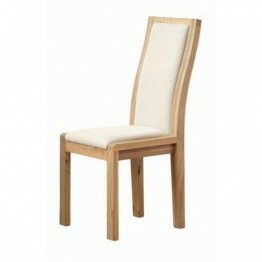 Across the furniture collection there are soft lines and gentle curves featuring the Bosco finger jointing corners. 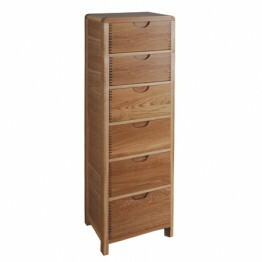 All the drawers and doors have an oval cut out handle which means no handles upsetting the clean cut design of this bedroom collection. 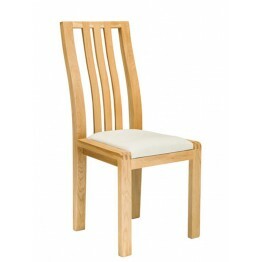 Ercol have named this collection Bosco which is Italian for "Wood" . 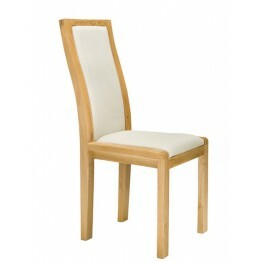 There is a matching dining collection which you can see by clicking here. 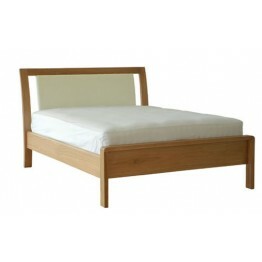 The Bosco Furniture collection Superking Bed frame - model number 1320 which has pre sprung wooden s.. The Bosco Double bed (model number 1324) with an upholstered section in the middle of the headboard .. The Bosco King Size bed (model number 1325) with an upholstered section in the middle of the headboa.. 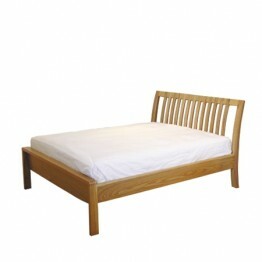 This is the Ercol Furniture Bosco Bedroom Collection 1360 Double Bed. It has a pre sprung woode.. 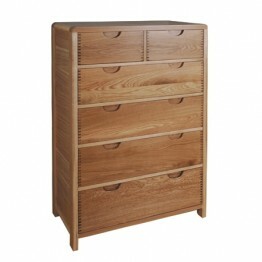 This the the Bosco Bedroom collection 5 Drawer wide chest from Ercol Furniture. The drawers have the..
Ercol Bosco 1363 Six Drawer Tall Wide Chest of Drawers finished on the Bosco clear matt finish.Dimen..
Ercol Bosco 1364 six drawer tall chest.Dimensions:53cm Wide45cm Deep144cm HighHad or seen a better p..
Ercol Bosco 1365 Two Door Wardrobe. 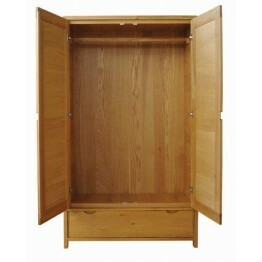 Drawers at the bottom and a hanging rail on the inside.WE HAVE T.. 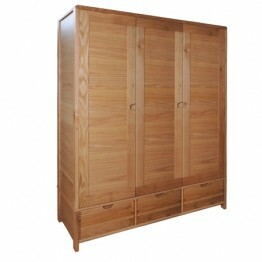 The Ercol Bosco 3 door wardrobe. 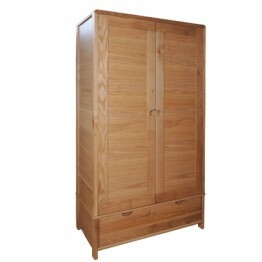 Due to the size of the wardrobe it is supplied in parts and then bu..
Ercol Furniture Bosco 1369 Storage Bench with a lift up lid and a cream upholstered top.Dimensions :..